This comes much much later than I planned but here it is – my own personal weekly A to Z series. This year in April I signed up for the A to Z Challenge with the topic ‘Fascinating characters from books we love’. However I bowed out for fear of not doing justice to the characters under the pressure of daily posting. Starting today I hope I can bring out a well-loved character each week. Endearing, annoying, good or evil the one thing they’ll have in common will be their ability to enthrall and entertain. They’re the ones that outlived the books. I begin with the letter A and I couldn’t have found a better person to kick it off with than my favourite man Atticus Finch – the gentleman, the lawyer, the father from ‘To Kill a Mockingbird’. It couldn’t have been better timed either since Harper Lee’s sequel ‘Go Set a Watchman’ went on sale yesterday, 20 years after her first and only book. To read reactions to her new release you can go here. Harper Lee modeled Atticus Finch on her own father and went on to face plenty of flak for that. I blogged about it earlier at my other blog. He’s the kind of father you could ask almost anything and get a satisfactory answer. He doesn’t patronise or pamper. He imparts simple everyday values in the most uncomplicated manner. Look at how he explains empathy to his children. “You never really understand a person until you consider things from his point of view … until you climb into his skin and walk around in it.” Isn’t that brilliant? He is always falling short on his kids’ admiration scale yet he never defends himself. Scout feels his inadequacies most strongly. ‘He cannot tackle a football, doesn’t drive a dump truck and was practically blind in one eye’. She’s desperate to find a redeeming factor in her dad. Then one day he picks up a gun, albeit reluctantly, and in a single shot takes down a mad dog, to her complete awe and delight. Miss Maudie, their neighbour, explains, “..Because he was a crack shot he realised God had given him an advantage over most living things….. he decided he wouldn’t shoot till he had to,..”. Hello! Who does that? …a gentleman in a true blue, old-fashioned understated way. He’s not beyond taking his son to task for falling short on his ‘gentlemanly’ traits no matter how trying the situation. I’ve been reading with a tiny pang of apprehension, that in Lee’s new book Atticus turns racist.. You can read the article here. I am trying to keep my faith. I just hope Lee does him justice. I’d hate to see him fall. Need to get to that book fast. Do share your favourite characters with me. And don’t forget to come back next week. Meanwhile take a guess about the gentleman in my next post. Yes, he’s a man again and he’s a teacher. Go guess. 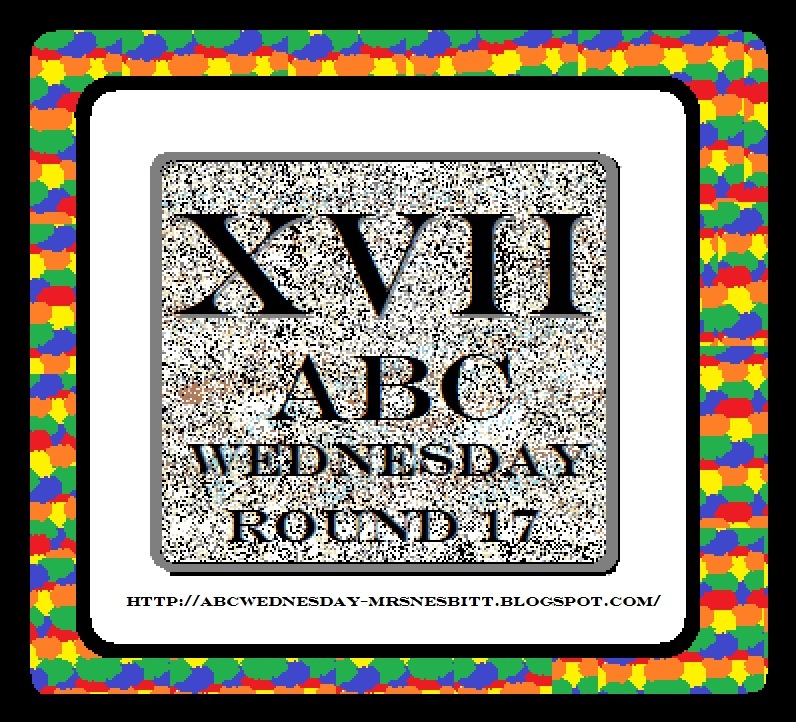 Joining in the ABC Wednesday fun. The meme is in its 17th round. Today’s letter is of course A. This entry was posted in Best loved fictional characters, Books, Famous characters from books, Reading and tagged Atticus Finch, Harper Lee, To Kill a Mockingbird on 15/07/2015 by Obsessivemom. Nice list Tulika :), you’ve really brought the great aspects of the character to life here. Waiting with bated breath to read the new one, with the hope that all the hype is much ado about nothing. I’m just hoping Atticus doesn’t disappoint. If he has turned racist I hope Lee has given him reason enough. I have feel though that I’ll like the new Scout better. Now, I think I certainly SHOULD read it. I think the last book I read was (oops) were the Twilight Series, but hey it was a book LOL! Lovely description, now I feel that I know this man. Very well written! Oh you must must. To Kill a Mockingbird is told from the perspective of his ten-year-old daughter. It’s a wonderful read. And BTW I quite liked the Twilight Series too. A very commendable man, and an inspiration to his children. Like your post…. Oh I am really going to enjoy your list this round—great idea. And I love this book!!! Thanks Ann. I hope you find some of your favourites here. I hadn’t thought about reading Lee’s sequel because she didn’t want it published. But, now, you have me curious. I like To Kill a Mockingbird. It was simple, solid, and sincere, which, I think, is because the characters are. Atticus Finch is a great role model. They ought to reshow the movie in the theaters again. Absolutely. It is one of my all time favourite books. Apparently Lee did agree to the sequel being published and also refused to make any changes to the original manuscript. I’m curious too. and as for the movie, it didn’t hurt having Gregory Peck acting in that role! I’m divided in whether to buy Harper Lee’s just published book. Ah Oh I got only part of your comment. Anyhow it seems the best part ;-). Isn’t Gregory Peck just amazing? Apparently he befriended the very reclusive Lee too and they got along very well together. Well thought out analysis…looking forward to more of your favorite characters. My recent read was The Martian by Andy Weir…his main character, Watney, is resourceful, optimistic, jaunty…I recommend it. Thank you. I haven’t read that one. Adding it to my to read list. Thanks again for visiting. Thank you for this post.Last week I read about this second book of Harper Lee. I have always been an admirer of Atticus Finch, not in the least by the performance of Gregory Peck in the movie. I really hope that he hasn’t changed in this second book too much. I shall have to read it. I liked “To Kill a Mockingbird”. I am glad you wrote this excellent review on this book, for I was thinking to do it when the letter H of Harper Lee would have its turn in the ABC Wednesday meme, but I found it too difficult. Thanks Wil. I think Atticus HAS changed quite a bit in the new book. I am hoping I can come to terms with it. LAST NIGHT, I went to see To Kill a Mockingbird in a movie theater. I’m not so sure whether I really want to read the sequel to a great story but turn Atticus into a racist is a travesty of imagination, that I would never have hoped Harper Lee to change such a wonderful and honest character so much…so the jury is out on this one ! I like your analogy of Atticus, absolutely spot on! Thanks Di. I feel quite the same about the sequel yet I cannot but read it if only to understand why she would do that. I shall wait to read your thoughts of the sequel before I commit myself to reading it! 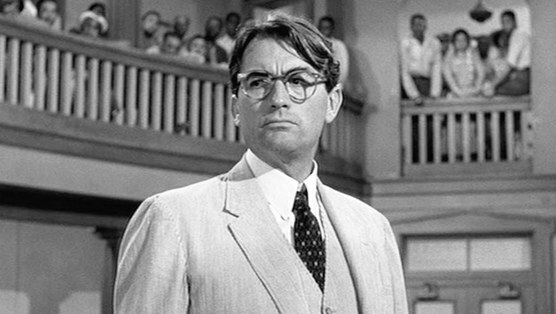 I loved Gregory Peck as Atticus and would hate to have my imagine of him tarnished. Can you believe it? I still have not read To Kill a Mockingbird. 😦 Have been meaning to since a long time. Must correct that soon. Oh you must. I think you’ll like it. I have read it in school and based on your recommendation, I bought it last year and guess what, it is still lying untouched. MUST read it now. I know how that happens. We have such long pending reading lists. So many books such little time! Good one on starting the A to Z 🙂 All the best! A classic it is. I edited out the synopsis of the book from my post since it was getting too long. Maybe I should have kept it to give a better idea of the man I wrote about. Naba she modelled Atticus on her own father and the anti-racial track didn’t go down with the local people of that time. She was inundated with hate mail. Some say that was one reason she never wrote another book. Quite sad, isn’t it? one of the best books of all time, 10th graders study it and I have the privilege of helping them as a tutor. You must then be well familitary with the book and its characters. It should be read by young adults and is so relevant even today. Thank you Aditi. Looking forward to having you over too.